A magnificent work on useful plants that weighs almost five kilograms is now on sale in a pale green presentation box. But it started out as a simple compendium on botany. Just over twelve years ago, a former classmate from Denmark asked biologist Bente Eriksen Molau whether an English book about botany was worth translating into Danish. Together with her colleague Åslög Dahl from the Department of Biological and Environmental Sciences and Magnus Neuendorf from Gothenburg Botanical Gardens, she has now published Nyttoväxter från hela världen (‘Useful Plants from Around the World’). The book describes and illustrates 400 plant species that are commonly sold in the Nordic region. The decision to write the book took the authors less than a week, but the work involved has taken more than a decade. 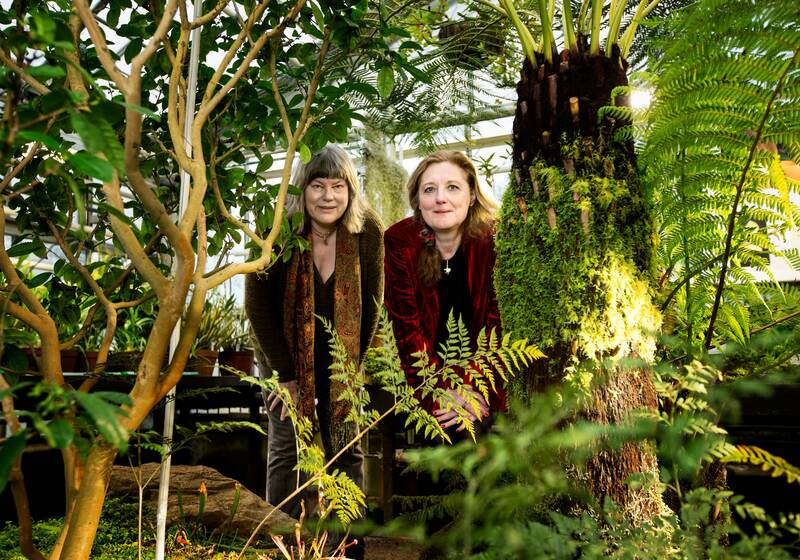 It took botanists Åslög Dahl and Bente Eriksen just over ten years to write Useful Plants from Around the World, a hobby project that has finally reached fruition. To begin with, the authors had focused on the Danish publishing market. But after a third of the book had been written and translated into Danish, they decided to target the Swedish market instead. The big publishing houses were unconvinced, but the small family company Warne – which was particularly fond of the images by Dane Kirsten Tind, who specialises in botanical illustrations – eventually showed an interest. The writers divided up the research and the writing between them. Flora and databases have been scoured for information, theses have been read and the results have been discussed. Certain scientific essays that turned out to be too old have been rejected. Another difficulty has been knowing where to draw the line. Readers can learn that the strawberry was the result of a fertilisation between two South American varieties of wild strawberry in 1788 in a French garden. The paths of these two varieties would never have crossed in nature. “We’ve gathered so many facts we can hardly remember everything ourselves now,” laughs Bente. The biggest difficulty was funding the project, which was a hobby project. A scholarship of SEK 200,000 was the only financial contribution, but the authors hope to break even once half the books have been sold. The outlook is promising.